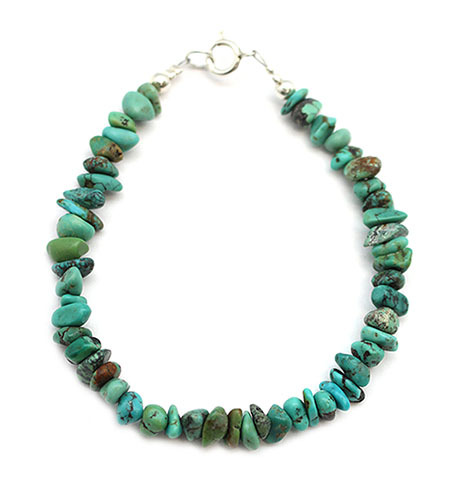 This bracelet is strung with Chinese turquoise nuggets and a sterling silver clasp. 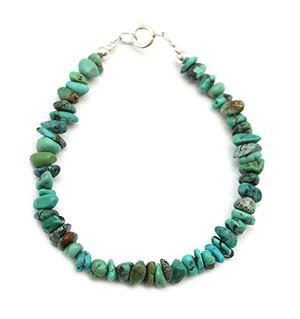 It measures approximately 7" and is strung by Navajo artisan Naomi Garcia. Size and shape of nuggets may vary.